Tonight: Join us for an adult beverage, a warm fire and friendly mixologists at R17. It’s a Hump Day Happy Hour, and the second drink is on the house. Plus, you get an ice rink pass for you and a friend. 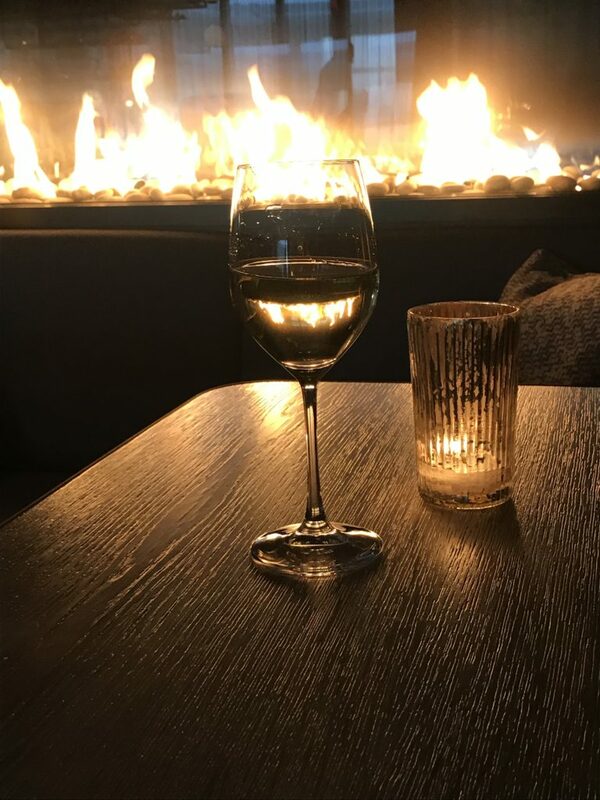 Come wine down with us. Take the elevator to level R and hang out and this hidden gem at the Pier 17 Rooftop, next to the Winterland Ice Rink and Tank Warming Hut. Promo: 2nd drink is on the house! 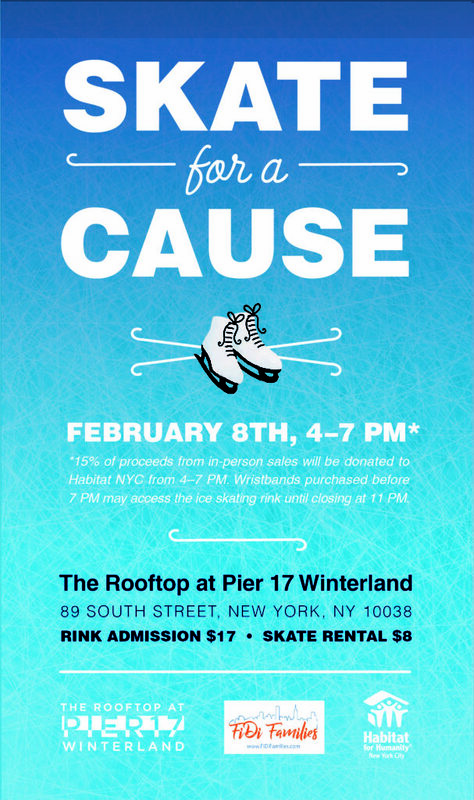 Join FiDi Families + Habitat for Humanity NYC for an evening of ice skating, rooftop views and giving back to an incredible organization. 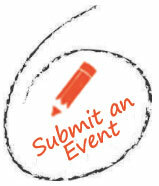 Kids will have a chance to work on a craft project, sample snacks from GoGo squeeZ and KIND Snacks and more! FiDi Families Insiders: Wristbands purchased before 7 pm may access the ice skating rink until closing at 11 pm. Thank you to the generosity of the Howard Hughes Corporation, 15% of the proceeds from on-site sales on 2/8 will go back to the non-profit, Habitat for Humanity. And, they will be serving hot chocolate to participants in the Skate For A Cause Event! 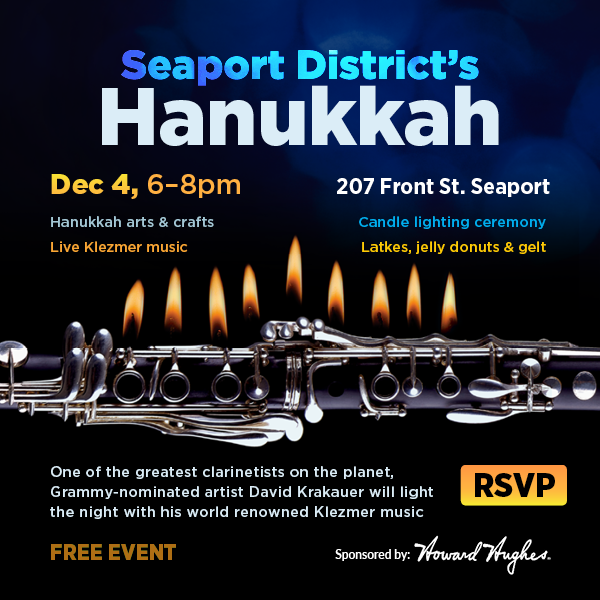 Seaport District’s First Ever Hanukkah Party! Join locals and visitors alike at the NY Knicks Fan Fest, introducing the new team to the public and giving fans a chance to meet the team. The public event will feature live music, activations for fans, as well as an intro and brief Q&A with some of the NY Knicks 17-18 team! 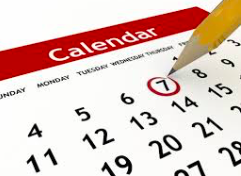 If you have a Chase credit card, there are also exclusive events, such as a private event that will allow season ticket members to meet the players, enjoy light refreshments, all while overlooking the main stage on the Seaport. So, don’t forget your Chase branded credit card, to take advantage of the partnership perks with Chase, which is rewarding fans who have Chase cards with exclusive benefits.